Shadow Police and Community Safety Minister with Evelyn candidate Bridget Vallence. Labor Evelyn candidate Gail Ritchie is “outraged” that voters received Liberal Party election material alongside postal vote applications. 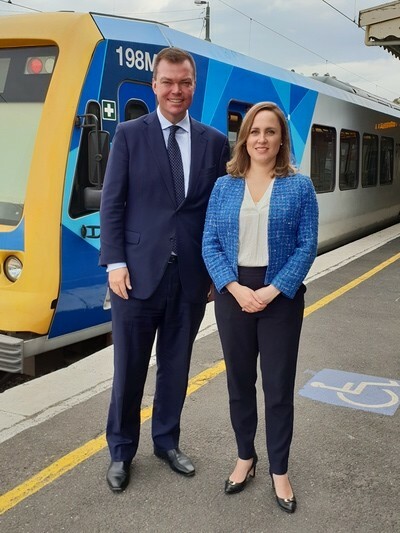 But Liberal Evelyn candidate Bridget Vallence said the material was “100 per cent compliant with Labor’s new electoral laws and totally consistent with the past practice of both major parties”. “The fake outrage from the Labor candidate is nothing more than an attempt to disenfranchise voters who may be unable to attend a polling place on Election Day,” she said. Ms Ritchie said on her Facebook page that locals had called her about the material, which “looked like official correspondence, but was in fact from the Liberal Party”. “I am outraged,” she said. 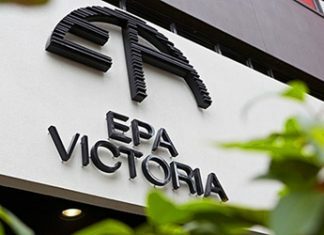 “Political parties should never attack the integrity of the Victorian Electoral Commission or its independence. The VEC on Wednesday 31 October issued a statement regarding the issue, stating that political party postal vote applications were not from the commission. Electoral Commissioner Warwick Gately stressed that the VEC was politically impartial and independent of government and did not distribute postal vote applications direct to households. “If you have received a postal vote application in the mail enclosed with campaign material, it was not sent by the VEC, it was sent to you by a registered political party,” he said. He explained that under the Electoral Act 2002, a political party was permitted to enclose a postal vote application with a letter or flyer from the party or a candidate, as long as the postal vote application was not attached to it and didn’t form part of the political material. The VEC said some Victorian electors could be confused when they received a postal vote application from a political party. Mr Gately encouraged those unsure or uncomfortable about responding to an unsolicited postal vote application to use the postal vote application available at vec.vic.gov.au. “It takes five minutes and you can rest assured that the application comes directly to the VEC,” he said. Online postal vote applications can be made at vec.vic.gov.au and must be completed by no later than 6pm on Wednesday 21 November. The State Election will be held on Saturday 24 November.